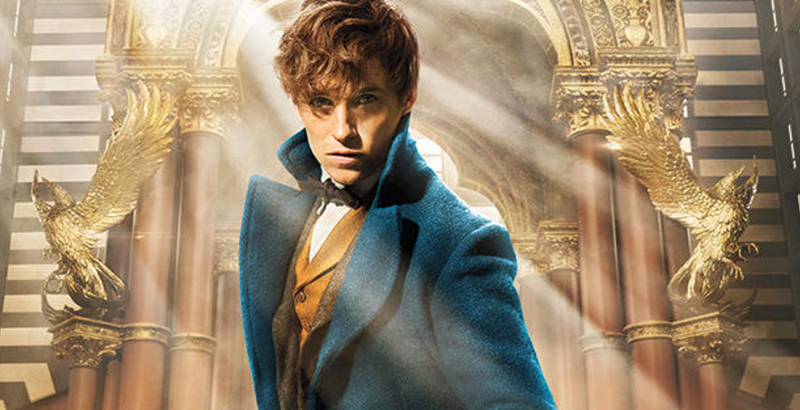 Entertainment Weekly has Fantastic Beasts and Where to Find Them star Eddie Redmayne on its cover, giving us our first glimpse of Newt Scamander. Beasts stars Oscar winner Eddie Redmayne (The Theory of Everything) as world-famous magizoologist Newt Scamander, who embarks on an adventure in 1926 New York. In our cover image, you get a first look at Scamander, his pivotal briefcase in hand, standing inside the entrance of the majestic art deco-influenced Magical Congress of the United States of America (or MACUSA), which is the American version of the Ministry of Magic that’s housed inside the Woolworth Building in the film. Coming along for the ride are Katherine Waterston (Steve Jobs), Colin Farrell (True Detective) and Samantha Morton (Minority Report). My primary question: Where can I get a magically moving version of this picture for my wall? UPDATE! EW has added a new gallery of pictures showing additional characters, including Katherine Waterston’s Porpentina “Tina” Goldstein, Alison Sudol’s Queenie Goldstein with director David Yates, and more of Beasts’ evocative Jazz Age backdrop. Full gallery here.